The 2019 real estate market remains strong. If you’ve been thinking about jumping into a new home, now’s the time to do it! Let’s face it, bad news sells, but when it comes to the real estate market, there’s good news out there. Looking beyond all the doom and gloom in the U.S. press about the government shutdown’s effect on the economy, January 2019 numbers show a significant bounce in the economy overall, on top of a great finish to 2018. Third quarter U.S. GDP is +3.4% and estimates for the year 2018 are better than 3%. November numbers show personal income is up 02%. Unemployment is at 4.0% for January. Inflation is 2.2%. New residential house sales were up overall in 2018, too. The two major segments of the housing market are housing starts and home sales. Housing starts are new residential construction projects. When the economy is good, consumers are more likely to buy new homes. Markets related to housing rise when consumers look to buy new homes. 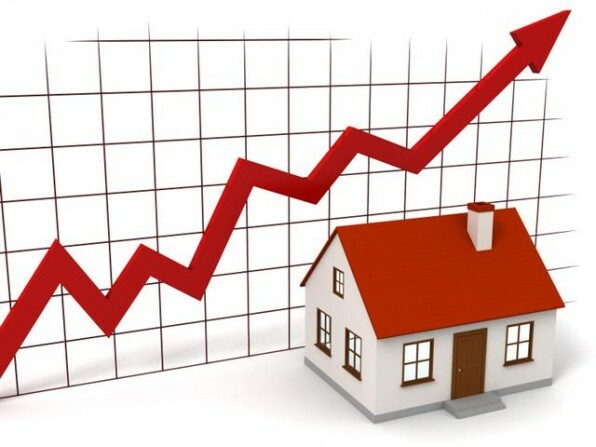 Mortgages, land sales, raw materials, and employments all rise with the rising real estate market. The government ties the health of the economy at large to real estate. Housing activity tends to rise and fall with economic activity. In 2017, real estate construction contributed $1.34 trillion to the U.S. economy. That’s 7% of the nation’s GDP. The supply of money is critical to housing market health. When money becomes too difficult to borrow, the real estate market slows and that inactivity trickles down to related markets. Personal disposable incomes are rising. With that rise comes an increase in expenditures. Money is still relatively easy to borrow, and even with a predicted rise in interest rates, consumers can easily afford a home mortgage. Although the real estate market appears to be slowing down, that appears to be relative to recent highs in the market and not a reflection of the broader market. With continued increases in personal incomes comes increased activity in the housing market. Predictions that the U.S. economy will continue growing through 2020 and optimism in small business is very high. With that growth comes more opportunities for richer employment and more disposable income. With returning entrepreneurial spirit comes stronger employment security, higher pay, and better housing. Experts predict the GDP to remain strong, ranging between two and three percent. Expectations abound that unemployment will remain at historic lows and inflation will remain low as well. There’s much for consumers to look forward to in 2019. Add in expected tax breaks for the middle class and there’s little reason for all the media economic gloom. The 2019 real estate market will remain strong. If you’ve been thinking about jumping into a new home, now’s the time to do it.